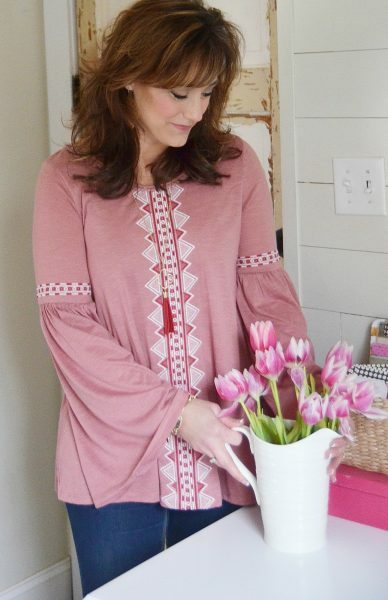 Today, I am sharing the All in Good Fun top from Glamour Farms! 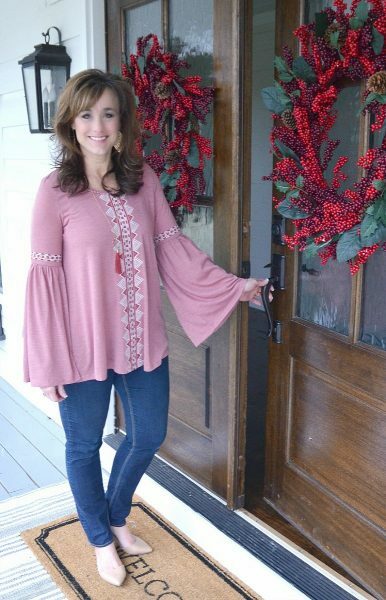 This top features a soft, jersey knit fabric with beautiful embroidery and lace detail down the front and around the long bell sleeves. I don’t know about you, but I like to wear clothes that I am comfortable in! This top definitely fits the bill. I also wore the Merriam Earring with this outfit. 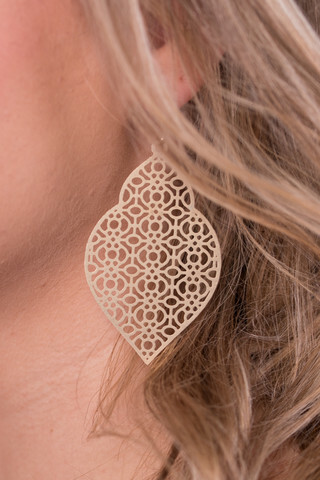 Y’all, I wear these earrings almost everyday! No lie. They are so cute and only $14.00! These are GREAT neutral flats for spring. I can see me wearing these with everything as the weather gets warmer. 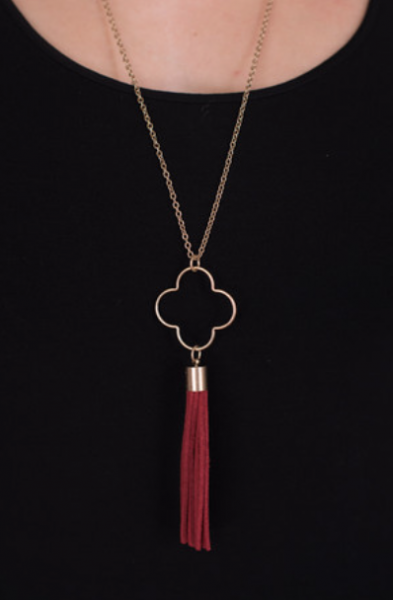 They also come in a gold/champaign color. 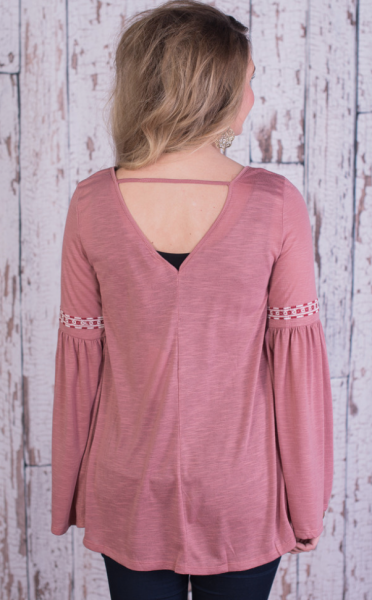 Since Luke was taking the pictures, I totally forgot to take a picture of the back of this top, and that is another very cute feature! It has a “v” cutout in the back. Isn’t that cute? I grabbed the above photo off the Glamour Farms website. I have another coupon for you this week! 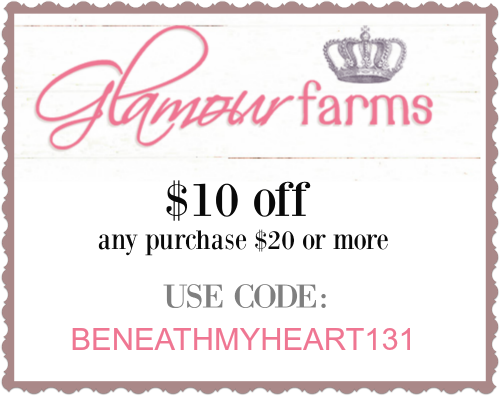 Be sure to use it to get $10 off your purchase of $20 or more! « Our 5th Year of Haven! Tickets on sale March 1st! Just have to say, you look so pretty in that top! The Voice is one of my favorites!!!! Sisandra Lewis previously on the voice lives in my town and I know her well. Several years ago we attended the same church. I am so excited for Jonathan and will be watching and praying. Tracy, you are just so darn cute!!! You look absolutely darling in these outfits. How can you do construction all week and look so sweet and demure! Lol! I know I know, its the true feminine magic! Love your style Trace, you are the real deal! p.s. Can’t wait to see Adam and Eli’s room and Jonathan’s music studio as well your new space! Love everything you do. I’m gonna send an email to HGTV and tell them you and Cy are Kentucky’s answer to Texas’ Chip and Joanna Gains! You look adorable in that top! Reminds me of the 60s/70s style which is all coming back! I won’t be able to watch “live” on Monday, but have a bunch of friends who are tuning in for me! Thank you! 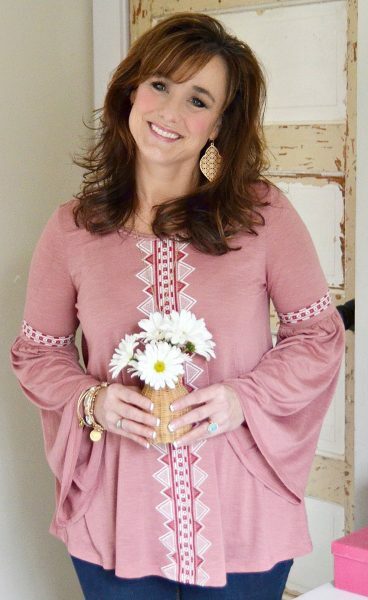 I was born in 1970, so I love seeing the styles making a comeback! 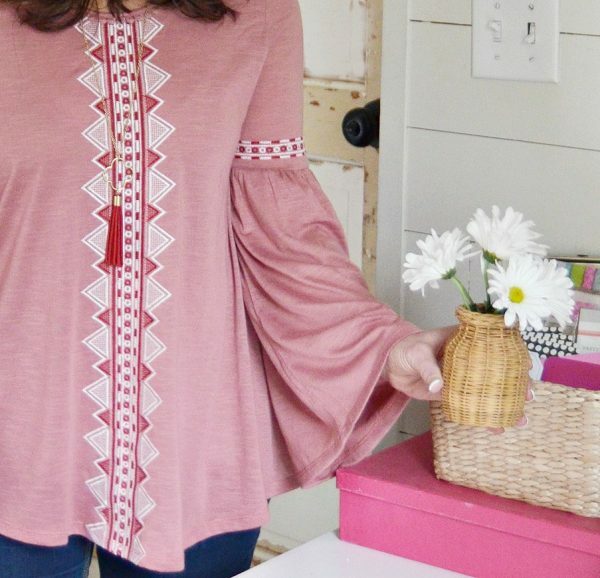 This top is so pretty, you look so beautiful in it! I will be watching and praying on Monday nite too. Blessings on your day! I’m looking forward to seeing Jonathan on Monday night!